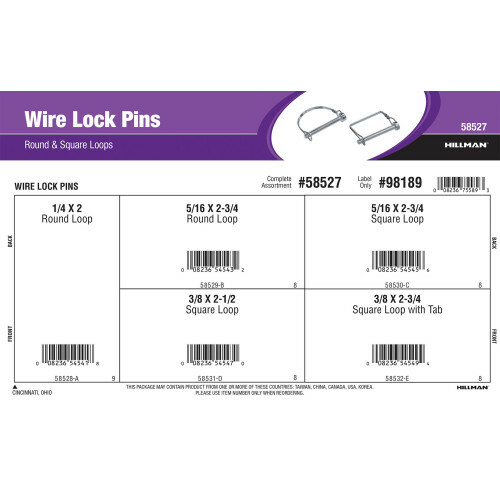 An assortment of round and square wire lock pin variants from The Hillman Group. Wire lock pins are a clevis pin with an attached wire loop that is pulled over the end of the pin. Full assortment contains five (5) refills comprised of Hillman item numbers #58528 - #58532.